What do you say—after pouring your life into hundreds of students during the summer—when a parent makes a comment like this? Can you think of a higher compliment? We are always mindful that SSI is only made possible through the faithfulness of God and the generosity of so many people! Now, during this exciting season of growth, transition, and change, we need your prayers and support more than ever! Looking back, when we started with 12 students on a weekend, I could never have imagined where we would come. Along the way, He kept blessing our programs and we saw hundreds of lives transformed. As a result, we kept growing. One track, two tracks, etc., until today, where we have 8 different leadership training experiences. One week, two weeks, three weeks. God kept pouring out His favor with more and more students, and we were running to keep up with the growth by creating new and exciting leadership simulations for our returning students. Throughout that time, even during the very lean financial years between 2000-2010 when we almost went under, God gave us favor and He blessed us above and beyond what we could ask or think. In addition, we’ve been so blessed by the generous donation of time and talent from hundreds of volunteers including businessmen and women, legislators, media professionals, judges, lawyers, campaign experts, lobbyists, college students, chaperones, bus drivers, Christian worldview teachers, and inspiring speakers. So many people have chosen to invest in young people together with us! All along the way, God has consistently provided us with an incredible staff of the right people at the right time! We are in a unique moment of “New Beginnings” that will require a double portion of God’s grace. This is an exciting and pivotal time in the ministry as we launch forward into this next season of fruitful ministry together. Let me explain. 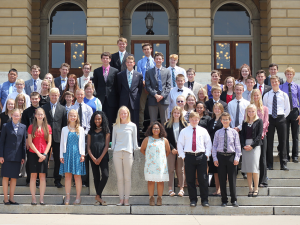 First, I am pleased to report that after a successful launch in Des Moines last July, we are currently in three states: Michigan, Minnesota, and Iowa. 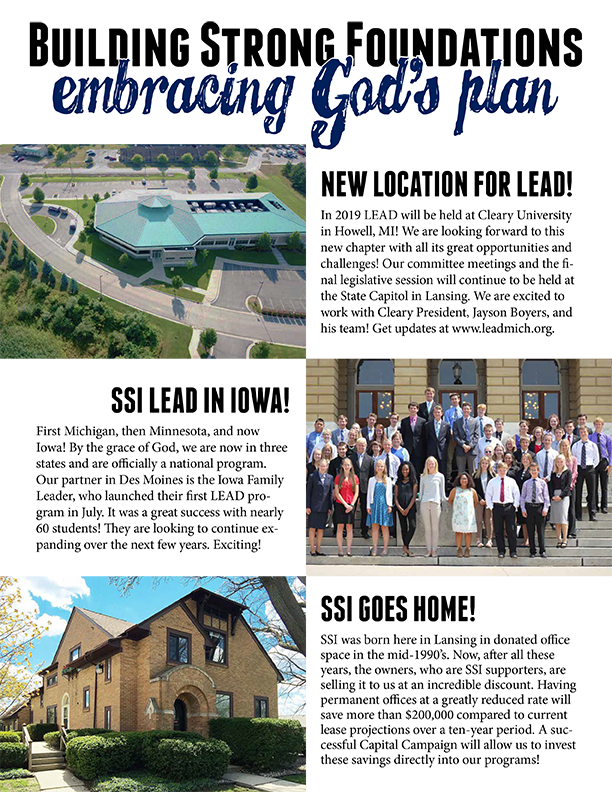 That means that SSI LEAD is officially a national program, and we will continue expanding as the Lord provides additional partner organizations over the next few years. The ways the Lord is growing this ministry are very exciting and very demanding! 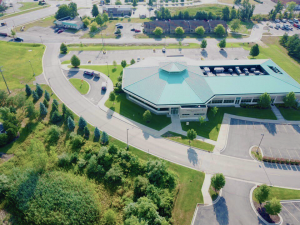 Second, after being hosted by Great Lakes Christian College since the beginning of SSI, we will be moving to a new location in 2019! I am excited to announce that starting next summer, we will be hosted by Cleary University in Howell. SSI LEAD will continue to hold committee meetings and the final session at the State Capitol in Lansing, but as you can imagine, for our staff and volunteers this will require an incredible amount of planning along with many logistical and operational changes. Please pray for our team as we make the transition and mark your calendars for June 16-21, July 7-12, and July 21-26, 2019! Time for SSI to Go Home! Finally, after years of leasing, we are purchasing permanent office space for SSI. In fact, it was in donated office space in this very building that SSI was born. The owners are two long-time friends of our ministry who are making a huge donation of their equity to make this an offer we cannot refuse. When compared to projected lease costs over the next ten years, this move will save us over $200,000, allowing us to invest more of our precious resources toward staff and programs in Michigan and beyond! 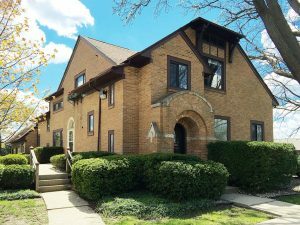 The SSI Board authorized a Capital Campaign of $250,000 to purchase this office building which has been amazing successful! The result? We will be moving into our wonderful new office space in April of 2019. This will not only provide low cost, permanent office space for SSI, but also has space for housing other Christian ministries as well. It’s time for SSI to go home! The future is bright with possibility! As you can imagine, next year will be both an exciting and challenging time for us and we are eagerly looking forward to it. As we approach 2019, I am asking all of our friends and supporters to help launch us forward through a generous Year-End gift. These Year-End funds are critical to ensure that we end the year in the black. We receive no government funds. We rely on contributions from individuals, businesses, churches, and foundations. Please consider this opportunity to prayerfully give as generously as you are able by December 31, 2018. Every gift, large or small, is deeply appreciated and will be put to good use empowering young people to be courageous Christians who shine for Christ in a corrupt culture. Yours for the next generation! Use the form below to make a credit card contribution, or send a check made to to SSI, PO Box 80108, Lansing, MI 48908. All gifts are tax-deductible! Have you considered donating by check? Checks eliminate credit card processing fees (which SSI pays to process your donation) and allow SSI to put more of the money you donate toward our mission of empowering teens to change their world. If you would like to donate by check, simply make it out to SSI and mail it to SSI, PO Box 80108, Lansing, MI 48908-0108.